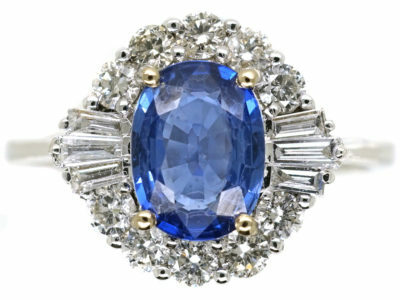 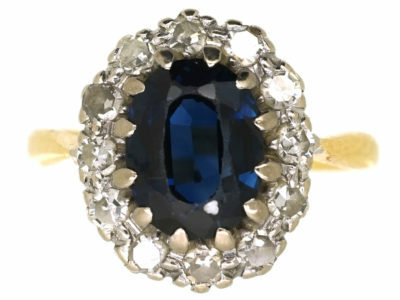 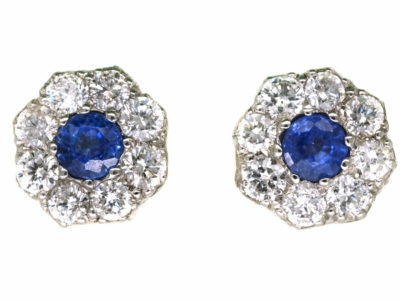 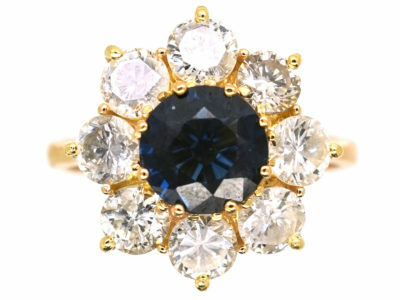 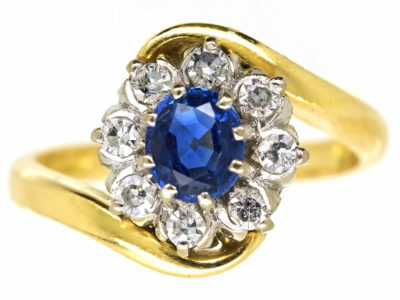 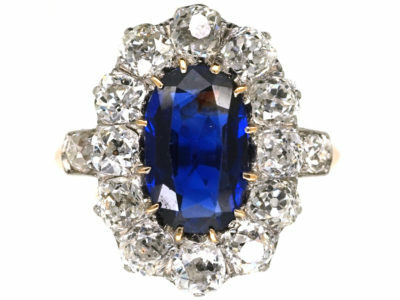 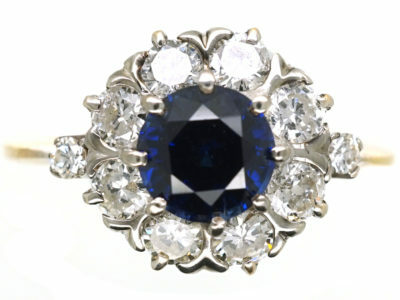 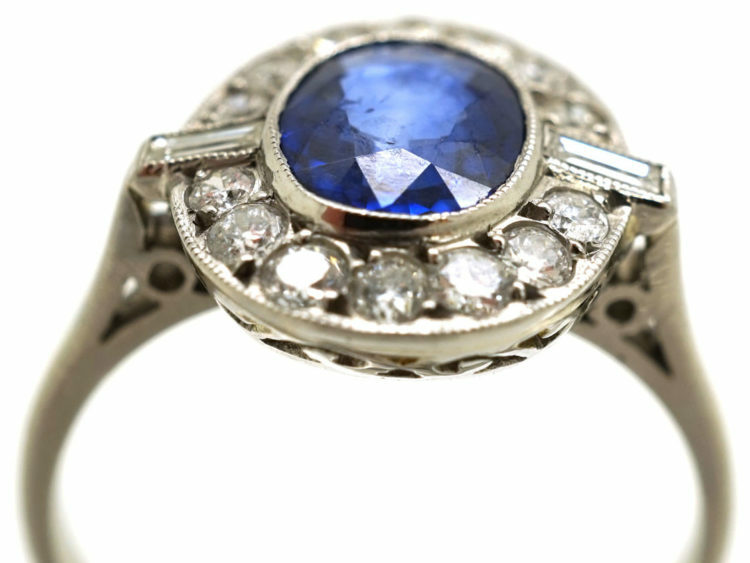 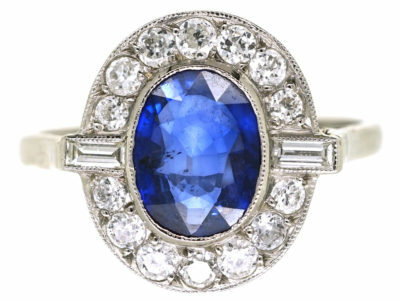 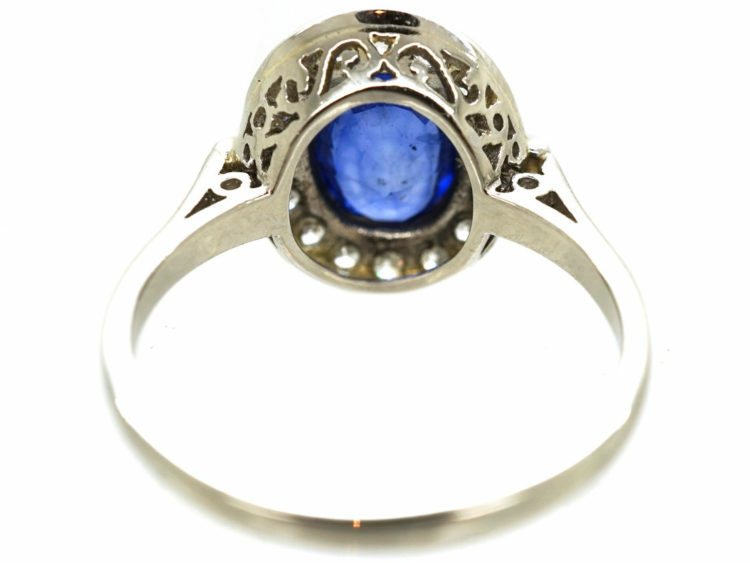 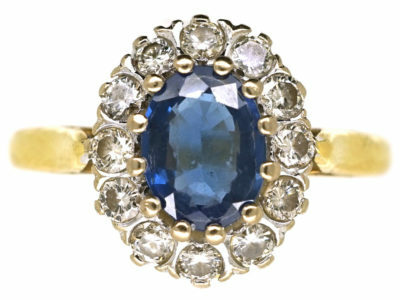 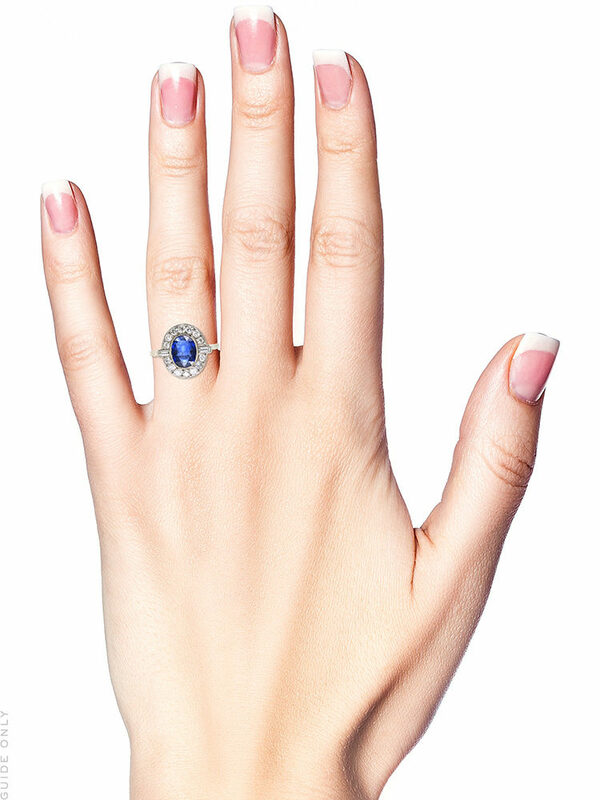 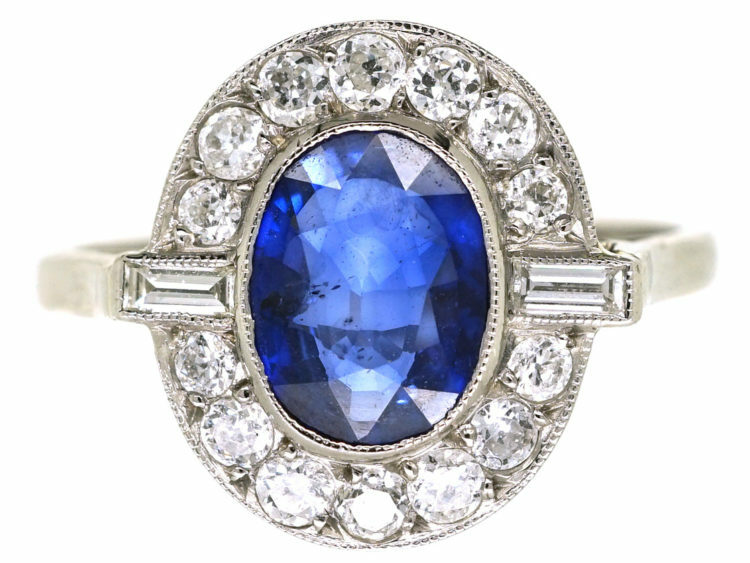 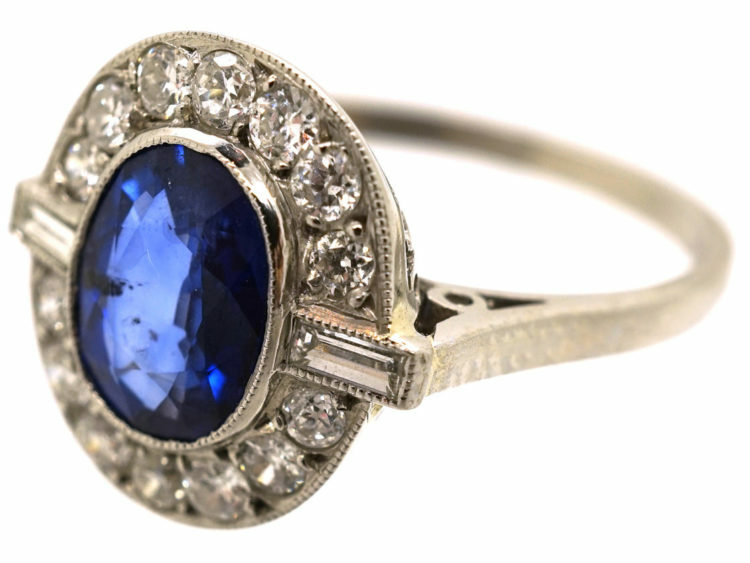 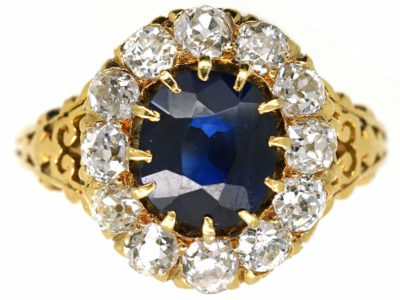 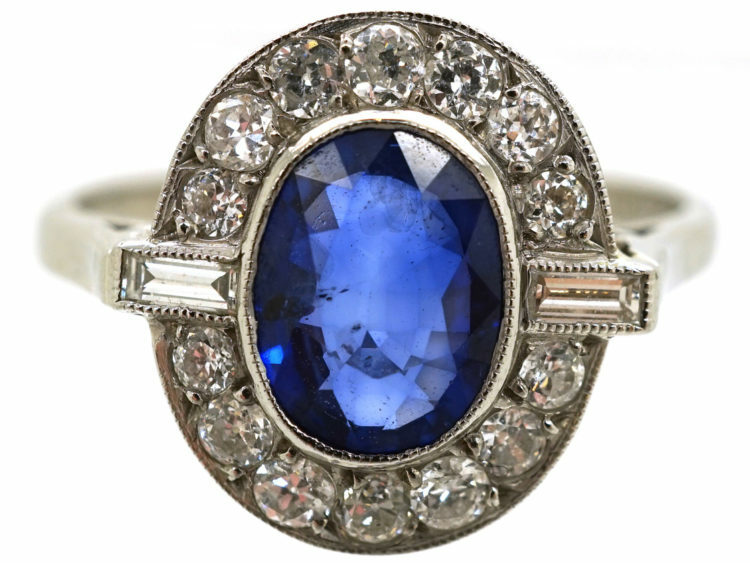 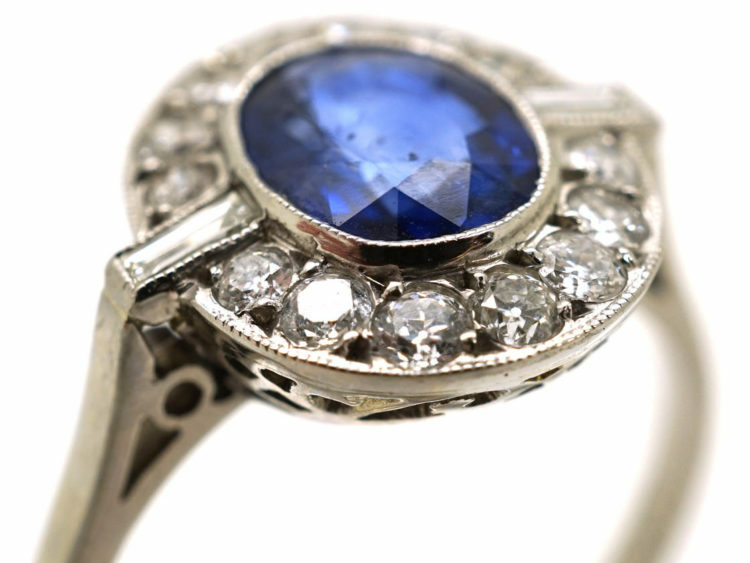 A lovely oval cluster ring set with a good mid blue sapphire. 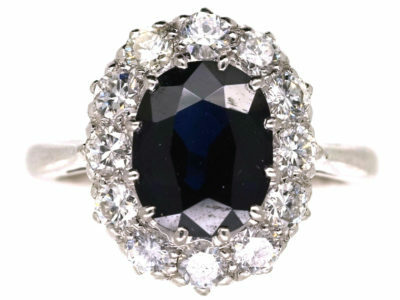 It is 18ct white gold with a platinum top. 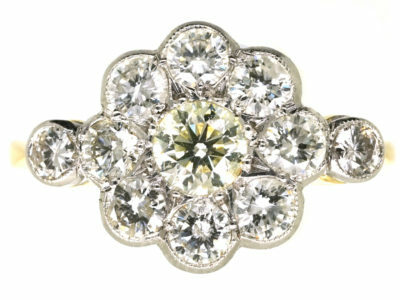 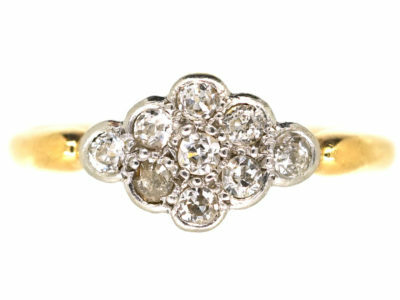 Around it are well matched white diamonds with a baguette diamond on either side. 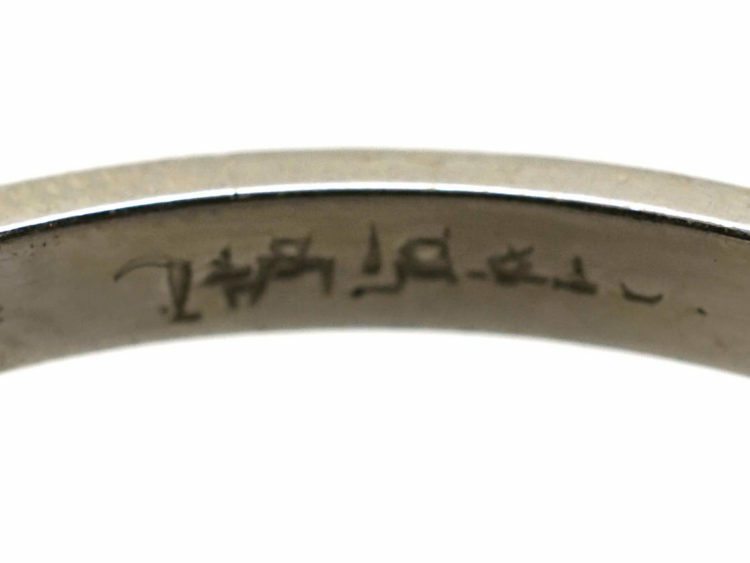 The edges are millgrained. 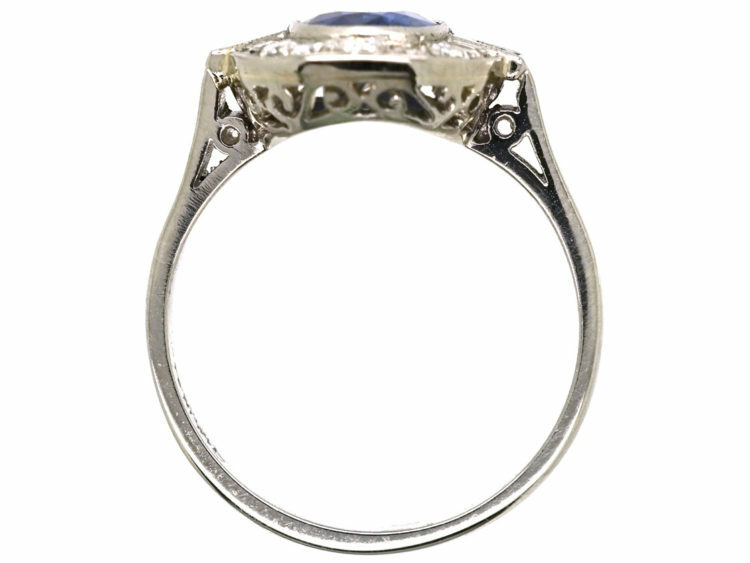 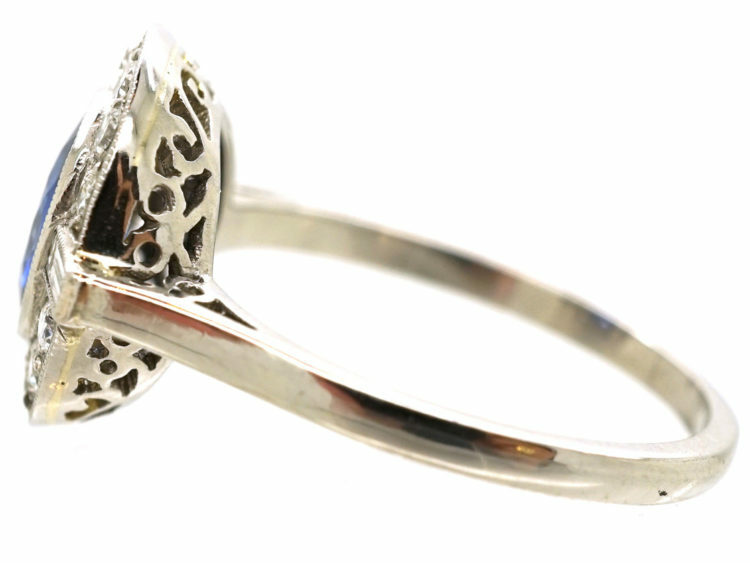 Millgrain is achieved by using a small decorated wheel that leaves a trail of miniature balls when rolled along a sharp edge of metal.It would be ideal as an engagement ring.